The Little Ninjas Karate Program is an introductory karate class specifically designed for children ages 4 and 5. It focuses on teaching children eight important main life skills: Focus, Memory, Teamwork, Discipline, Self-Control, Fitness, Balance, and Coordination. All this is achieved through exciting and fun games and activities! Wear loose-fitting clothes. A responsible adult must remain in attendance during class. Uniforms will be available for purchase but are not required for the class. 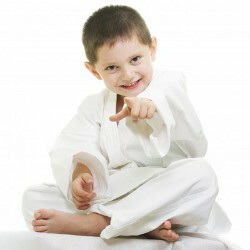 Visit www.kidspowerkarate.com for more details. Call the YWCA at 724-834-9390 to register.